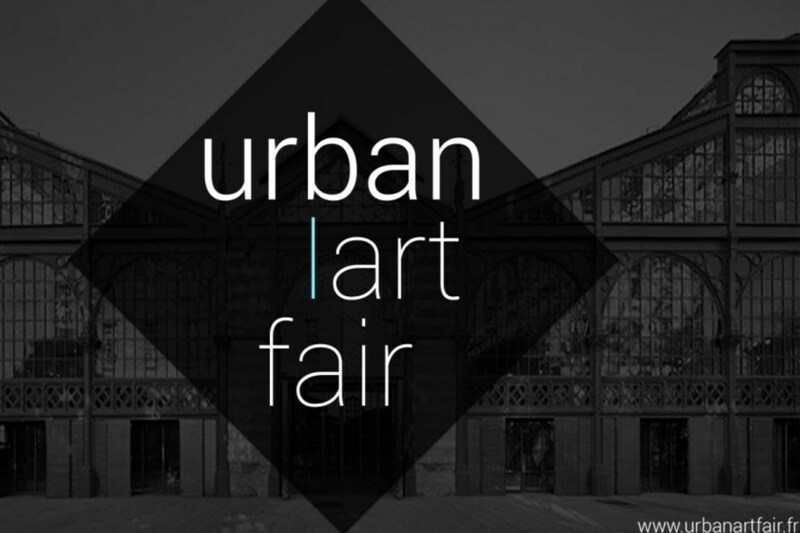 We are all very excited as the day of the opening of the first urban art fair in Paris is approaching quite fast. It’s truly amazing news for all street and urban art lovers – there will be dozens of great urban artists and exhibitors, all of them in one place, at the same time. There will be legends like Martha Cooper or Henry Chalfant, great artist like Renk or Mesa. In addition, the visitors will have an opportunity to see works by artists presented by OPEN WALLS Gallery from Berlin, Kallenbach Gallery from Amsterdam, Vroom & Varossieau from Amsterdam, Urban Spree from Berlin, MMART Project from Paris, Galerie Brugier-Rigail from Paris, and so on. A series of great discussions will take place, so the Parisian urban art fair is the right place to be if you want to know what the latest trends in the world of urban art are. A lot exciting things to see! While we are all preparing for the first edition of the urban art fair, we spoke with Yannick Boesso, the director of the fair. We asked him about the curatorial concept of the fair, about exhibitors, what can we expect to see, about the position of urban art in the global contemporary art scene. So, learn more about the first urban art fair in Paris and read the interview with Yannick! 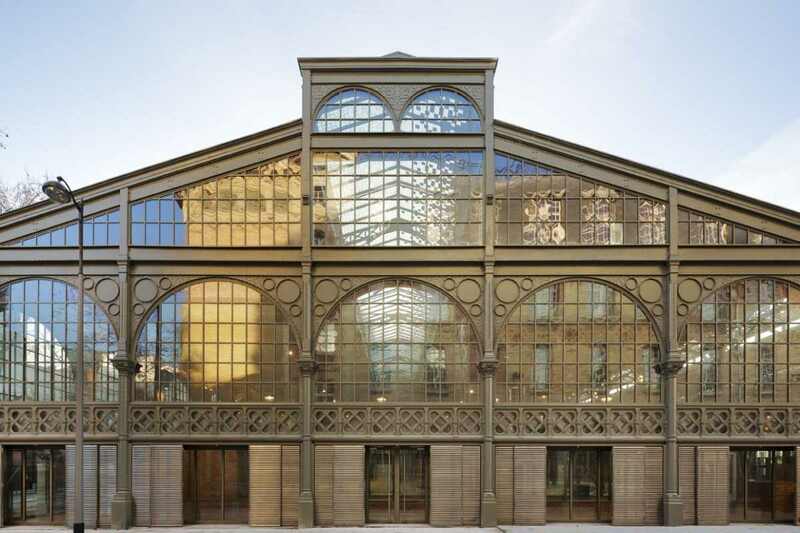 Widewalls: Everybody’s excited about the launching of the first Urban Art Fair in Paris! It’s hard to imagine putting art fairs and urban art in the same context. Could you tell us how the whole idea about the Urban Art Fair was initiated, and what motivated you to be a part of such endeavor? Yannick Boesso: At the heart of this endeavor is what I see as the greatest paradox in the art world today- urban art is the most important movement in contemporary art but is underrepresented in major fairs and institutions. 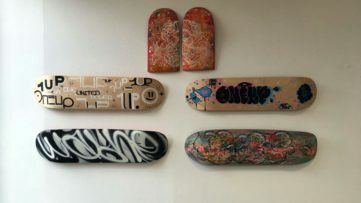 The demand is there, and we’re trying to respond to it by creating one major event that brings together urban art professionals to share their vision of the movement with collectors and the public. Widewalls: What is the curatorial concept of the Urban Art Fair? Did you invite artists and galleries, or was there an open call? YB: I invited specific artists and galleries but took great care to ensure quality and diversity. I targeted both established and emerging galleries, galleries that are working with the major artists of the movement, and two or three galleries that I personally believe have great potential. I think we have a remarkable selection, especially given that this is the first year. We’re optimistic that art collectors and the general public will love what they see. 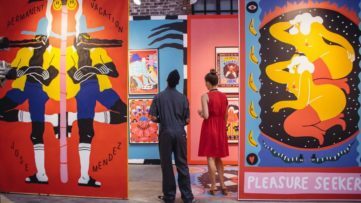 Widewalls: Do you believe that the Urban Art Fair will be an opportunity for young and/or emerging urban artists to promote their own art or you want to put the focus on more established and well-known artists? YB: Both. We want to highlight the history of urban art and the contributions of various established artists. But we also want to show where it’s heading through galleries like PDP, which will be exhibiting Renk and Mesa in a really fresh way. Widewalls: Urban art is not only about aesthetics and beautiful works on walls – it’s also about the economic and social phenomenon that urban art represents. Do you think that these economic and social issues that urban art is often dealing with are compatible (conceptually) with the format of an art fair? YB: I’d say an art fair is an opportunity to stress these economic and social phenomena and to clarify them for the art market. Each year, our fair will help give the market a better understanding—and appreciation– of urban art. This edition will include conferences on broad but critical themes such as the history of the movement, the market, the frontier of the law, and street art and Internet. The conferences will be free and feature legends like Martha Cooper and Henry Chalfant. 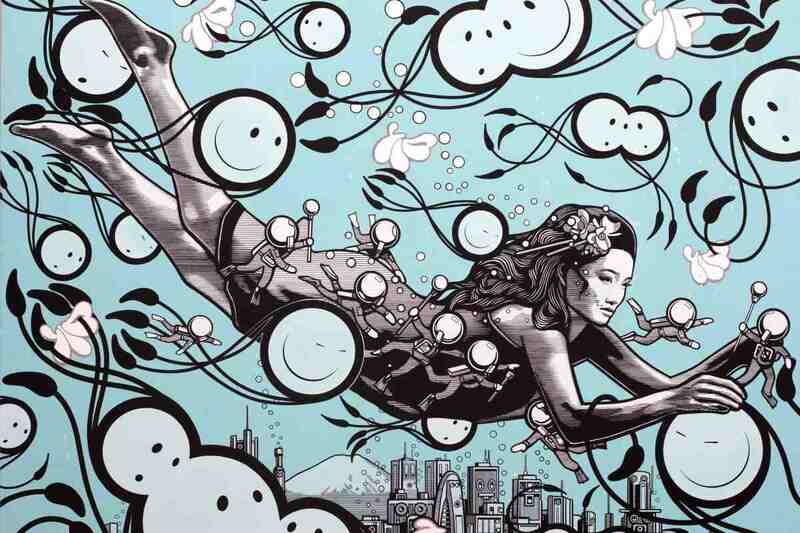 Widewalls: In your opinion how collectable is urban art? Many would say: Of course, it is, just take a look at a number of big sales, etc. But, some argue that the essence of urban art gets lost once a piece is sold. What is your stand? YB: I don’t think urban art loses its identity when it moves from the streets to the canvas. In fact, the transition between mediums can be very creative and significant. Selling urban art need not destroy the spirit of the movement- on the contrary, it can help it evolve and create a bridge with contemporary art. Of course, we have to be very careful. When we evaluate new artists, we need to keep in mind the history of the movement, its codes and the precursors of each discipline. 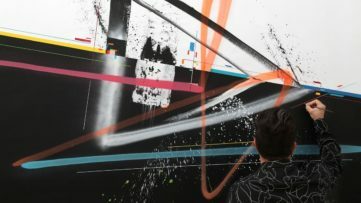 Widewalls: Do you believe it’s good for urban art to be fully incorporated into global contemporary art market? Many urban artists oppose this idea; on the other side, many would argue that the value (both artistic and financial) of urban art would be more appreciated if urban art actors would become more active on the global contemporary art market? What is your position in regard to this discussion? YB: Some street artists today don’t want to be qualified as such now because they worry that the label will undermine their credibility and marketability. This is a shame. We need to bridge the divide between urban art and the art market and gain full recognition for the movement in museums and other institutions. But, again, urban art will only continue to mean something if it retains its original identity: hip hop, May ’68, the rejection of advertising, etc. It represents its own market, like modern art, impressionism and cubism. 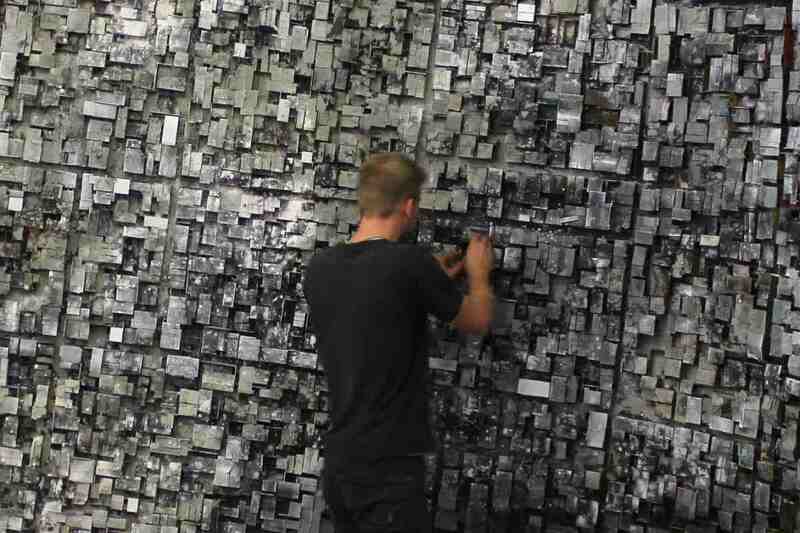 Widewalls: Our readers are very interested in the upcoming Urban Art Fair. Do you maybe have at least one exclusive news you would like to share with us; will there be any surprises? YB: We’re especially excited about the “anthology of street art” curated by Magda Danysz, which will feature some of the finest pieces of urban art. But as far as an exclusive goes, I can tell you that the fair will feature some great pieces from Blek Le Rat and Banksy. We’ll also have large-scale installations by other leading artists. And we’ll be screening the Sany Gpuffova’s documentary “Girl Power” for the first time in France. Widewalls: Finally, this is the first edition of the Urban Art Fair. Beginnings are always difficult. How are preparations going on and how many visitors do you expect? YB: The preparations are going very well. I was actually a little surprised by how quickly and enthusiastically people have embraced this project, but I think it speaks to the power of the movement and the need for an art fair dedicated to it. I’m particularly grateful to my friend Olivier Varossieau from the Vroom & Varossieau gallery in Amsterdam. Olivier embodies the positive energy and values of urban art, and he really helped bring them to the fair…. Now that we have secured a fantastic collection of galleries, we’re focusing on getting the word out to the public. So far, an estimated 15,000 people are expected. But this is just the beginning. Featured Images: Urban Art Fair Paris; Carreau du Temple (courtesy of patrickisson.com); Hendrik Czakainski,Presented By Urban Spree Gallery; The London Police – Mer-made in Tokyo, detail, Presented by Vroom & Varossieau . All Images used for illustrative purposes only (the last feature image courtesy of urban art fair).